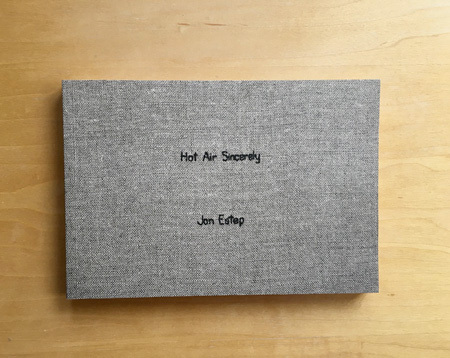 Jan Estep, Hot Air Sincerely, 2007, artist book, paperback, perfect bound, two-color, offset printed, 158 pages, 5.5" x 8". On the other side of language. The prison house of language. Speak to me with your eyes. The book is paperback, perfect bound, two-color, offset-printed, 158 pages.